So in the last post, I recapped our epic meal. This post details the epic dessert! 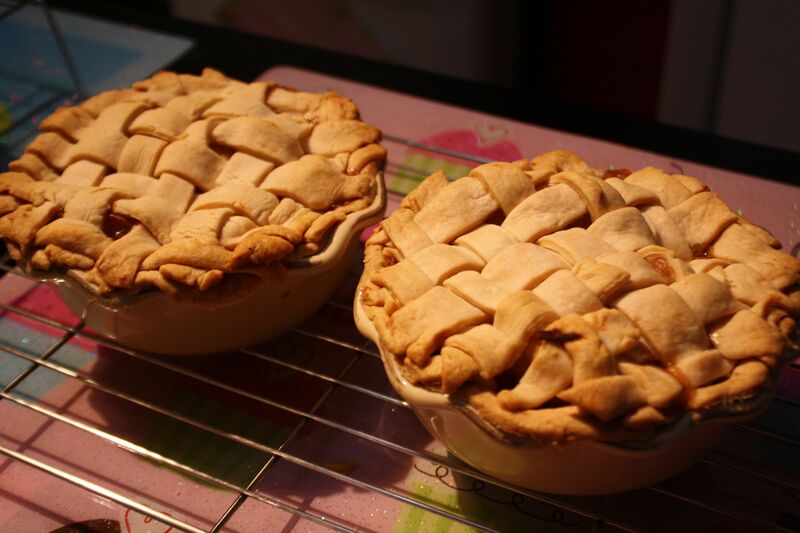 We made individual apple pies with a lattice crust. Lattice crusts are awesome because they make you look like a baking pro but they aren’t that hard to put together (for more details on a lattice pie crust, check out this post). 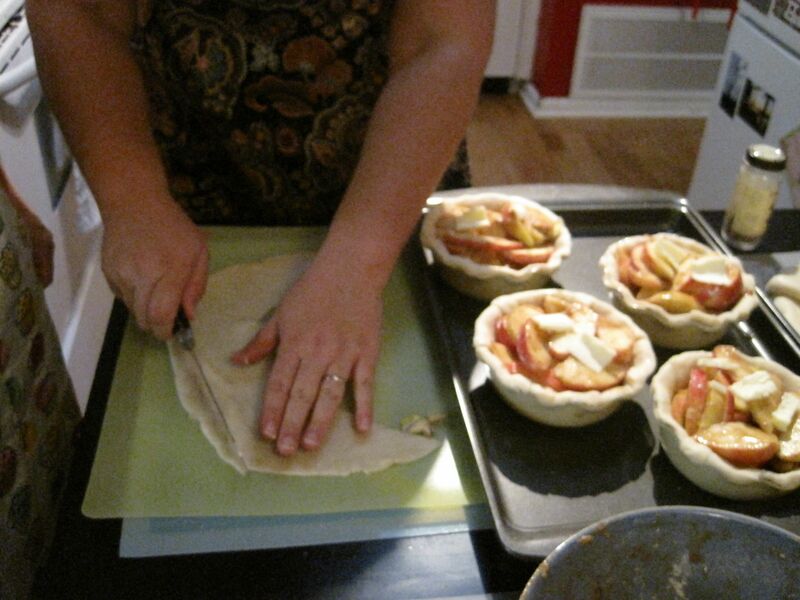 For our pies, we took some help from the store and used Publix refrigerated pie crusts. After rolling out and cutting the bottom crust, we filled the pie shells with a mixture of apple slices, honey, cinnamon, brown sugar, and a pinch of salt. 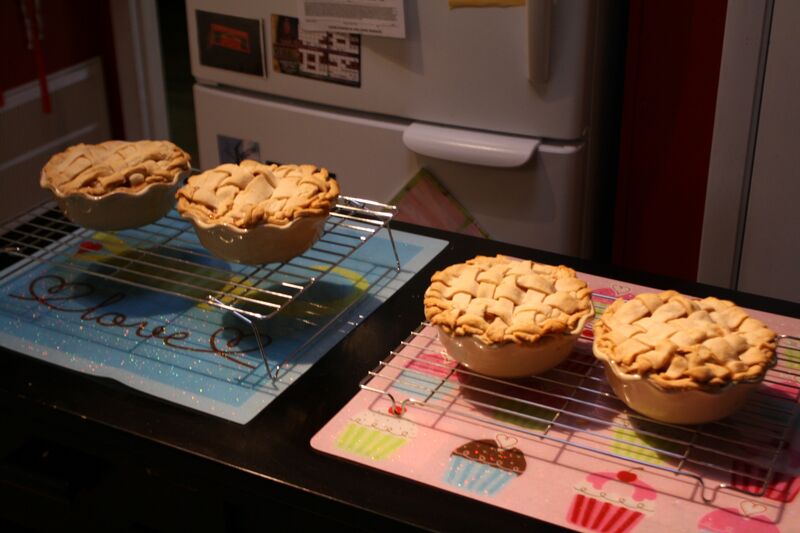 We assembled the lattice tops and let the pies bake for a while (35 – 45 minutes?) in a 350 degree oven (until the crusts were brown and the filling was bubbly. Four delicious baby pies. Unfortunately the pies took so long to cook that the girls had to leave, but I wrapped up each of their pies and delivered them that evening. See how good that looks? And it seriously came together in no time! I had a GREAT time cooking with some fabulous ladies. It was fun to be a cooking instructor for the day. 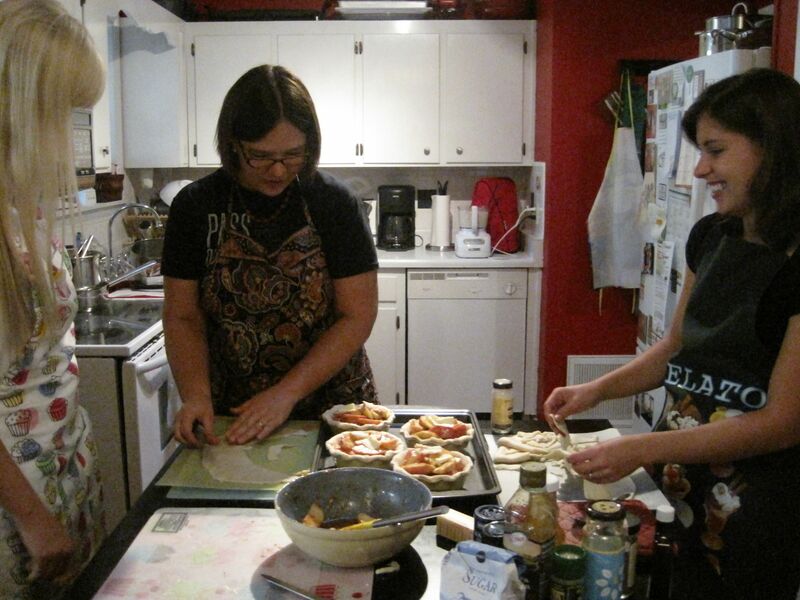 I can’t wait to host another cooking day and see what other tasty dishes we can whip up!